LONG-LASTING PERFORMANCE FOR PICKUPS, SUVS, AND CROSSOVERS. I am responsible for getting you where you need to go. 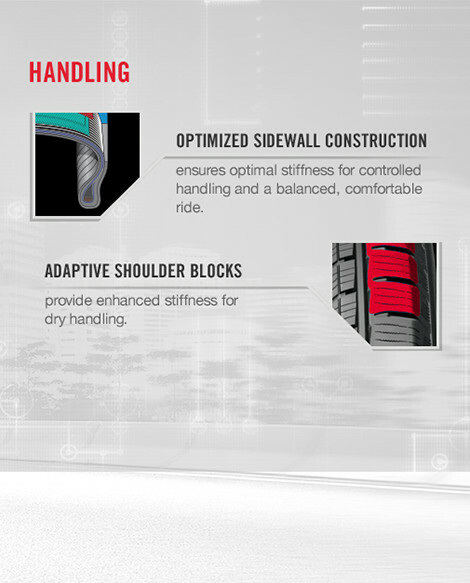 Which is why I’m equipped with all the features you need to experience outstanding mileage, aggressive all-season traction, and a comfortable ride. 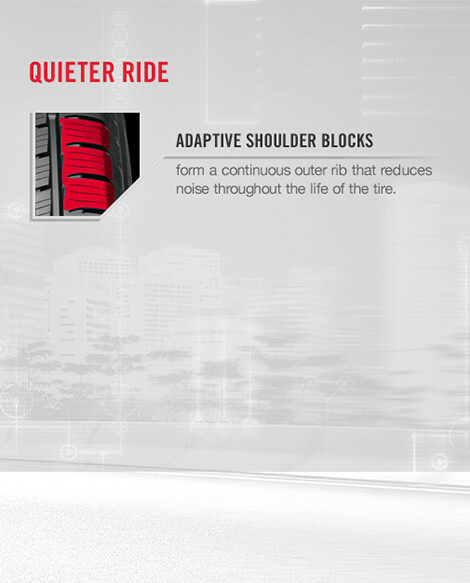 Adaptive shoulder blocks form a continuous outer rib to reduce noise throughout the life of the tire. 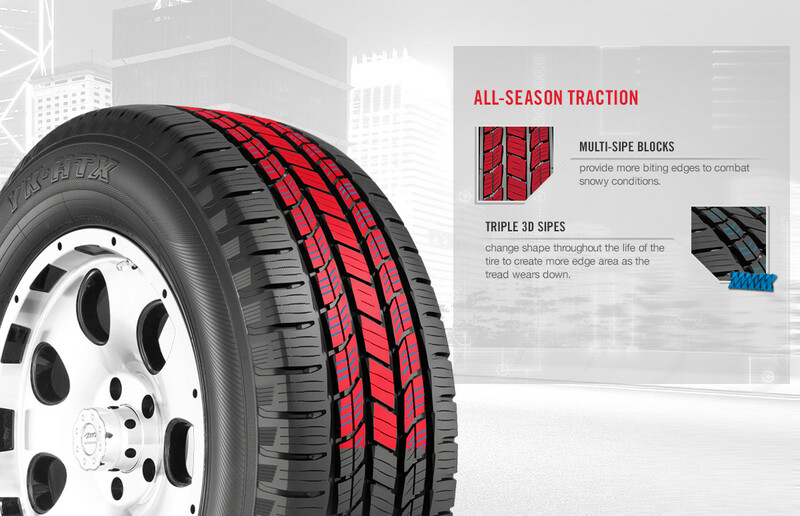 Triple 3D sipes promote wet and winter traction. 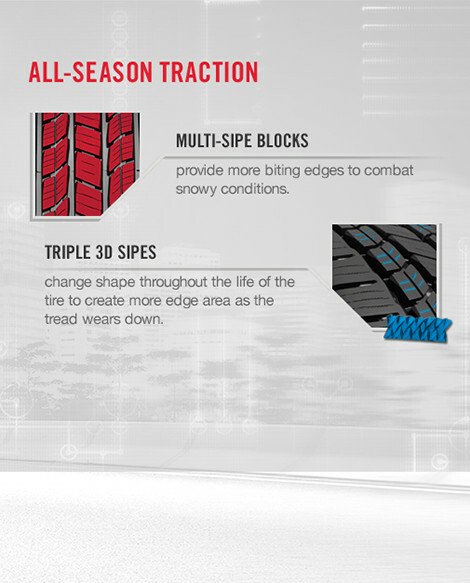 Multi-sipe blocks provide more biting edges to combat harsh winter conditions. 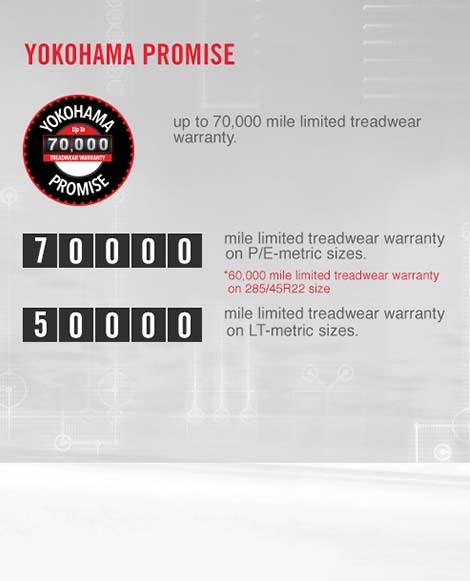 Up to 70,000 mile limited treadwear warranty. Yokohama tires are designed to perform better, keep you safer, and take you further. The YK-HTX delivers reliable performance for trucks, SUVs and crossovers. 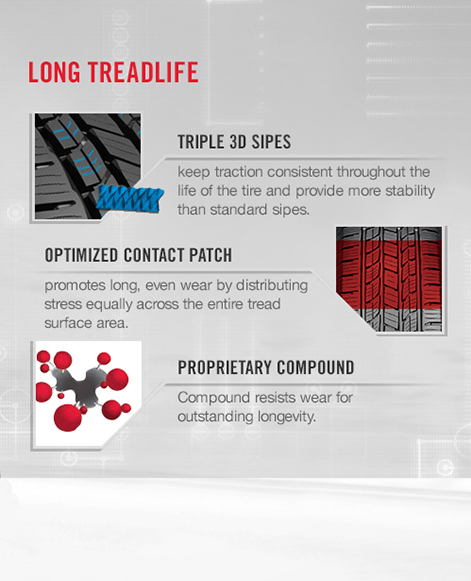 Triple 3D sipes provide more stability and keep traction consistent through the life of the tire. 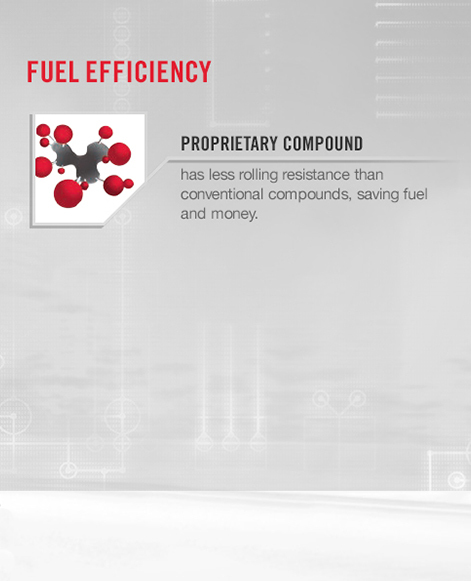 And our advanced compound resists wear for outstanding longevity. 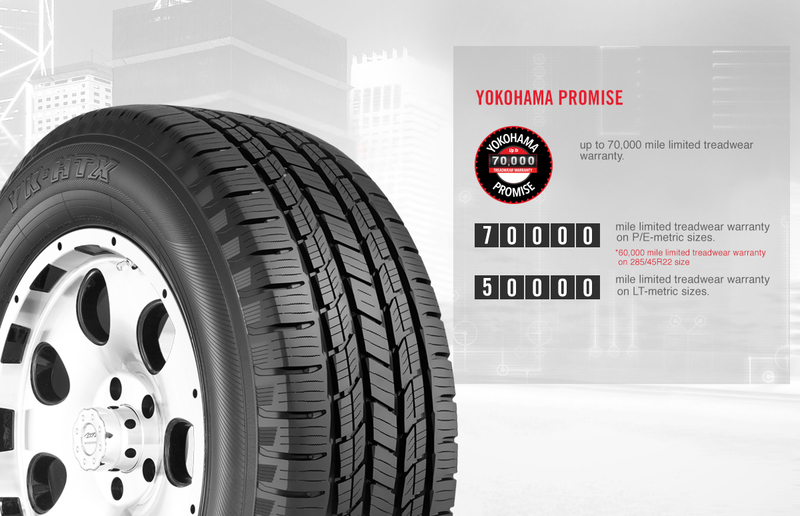 We guarantee you’ll love driving on your Yokohama tires, which is why we provide a warranty of up to 70,000 miles.